Will the Arizona Cardinals pick quarterback Kyler Murray? Here's how to watch the annual event tonight. "It's easy for politicians to simply acknowledge that climate change exists. What's harder is a real plan that measures up to the urgency of the crisis," said Greenpeace. Vladimir Putin is hoping to use his summit with Kim Jong Un to insert himself into U.S.-North Korea denuclearization talks. "Call of Duty: Black Ops 4" Blackout will host a $40,000 Code Red tournament today. We'll tell you how to watch the matches as they unfold. Rick Fox Leaving Echo Fox Over Shareholder's Racism and "Vile Language"
Rick Fox has supposedly left Echo Fox after multiple incidents involving racist and "vile language" directed towards him. 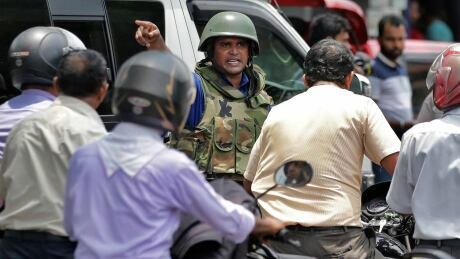 The U.S. Embassy in Sri Lanka has tweeted a warning that people should avoid places of worship over the weekend because of possible extremist attacks, as the island country remains jittery over the Easter Sunday attacks that have killed at least 359 people and injured hundreds.